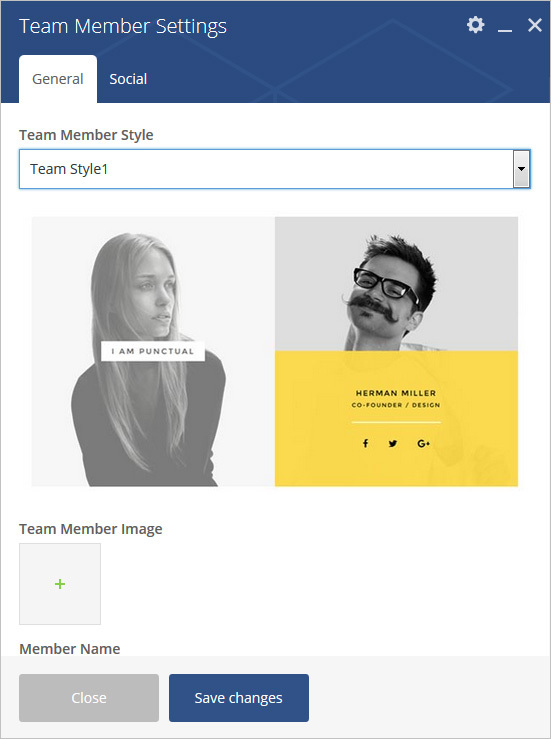 Add a great looking block to list out your awesome team members using our different styles. Please follow below steps to use “Team Member” shortcode. Step 4: Click on Brando tab, it will show all shortcodes of Brando theme. Now click on “Team Member” shortcode. Step 5: Follow below inputs/settings and see “Team Member” preview in frontend. Team Style – Select style from 4 pre-defined styles. There are different data fields for different style which all are listed below.